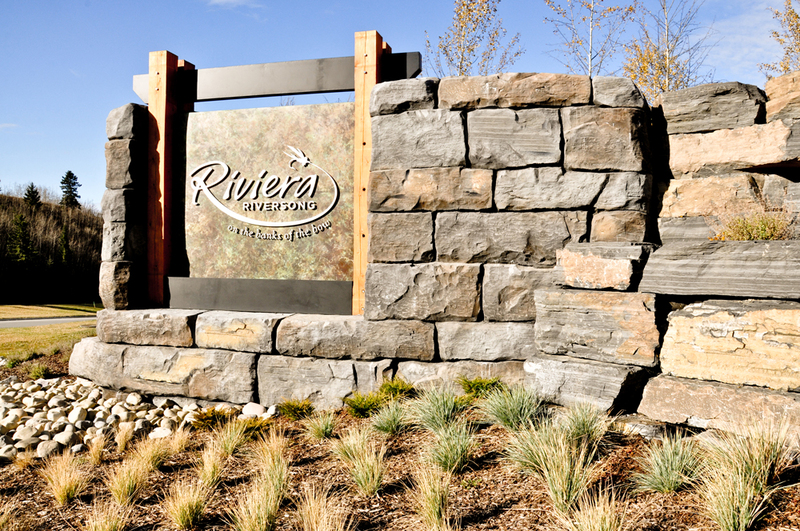 Wavestone was comissioned to replicate rundlestone boulders for the Rivera Estates entry sign in Cochrane Alberta. This project was built using shotcrete and hand sculpted on location. The stone in the bottom left corner measured 14' long and 3' high, building rocks of this scale is one of the advantages of using Wavestone rock work.